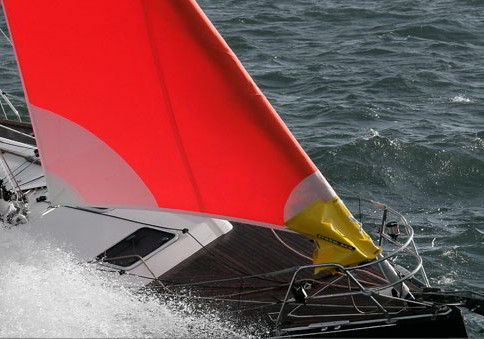 In very strong sea and wind conditions, the furling genoa is not adapted to these conditions (little efficiency, no possible wind gain, pronounced heel… not to mention the after-effects on the genoa). So, establishing the special reefing tormentor is the only effective way to control your sailboat. In bad weather, to stay on course, and above all to maintain acceptable comfort and release the crew’s tension, a sailboat needs an effective headsail. From this observation was born the special winding tormentine, a double pleated tormentine established by the wound genoa. The special winding tormentine, what is it? From this observation was born the STORM-BAG, a double pleated stormwater established by the rolled genoa. The special tourmentine reel radicalizes this concept by simplifying its use to the extreme thanks to its innovative self-opening bag. 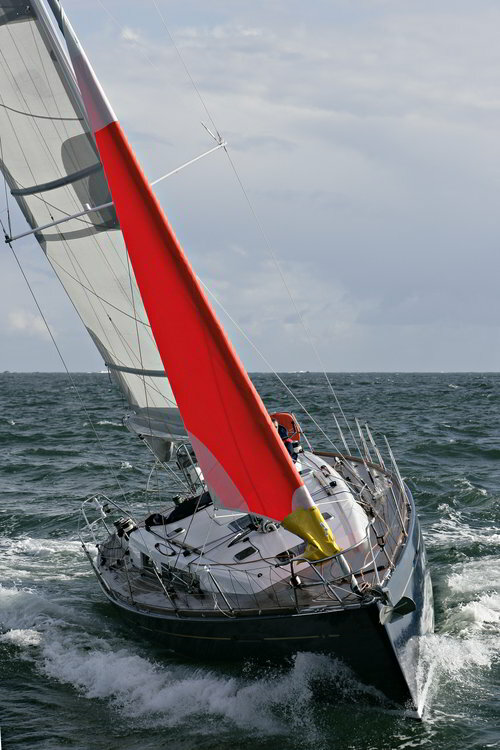 The special reefing tormentor can be used on sailboats equipped with a reefing system with their genoa-reefing system in position. 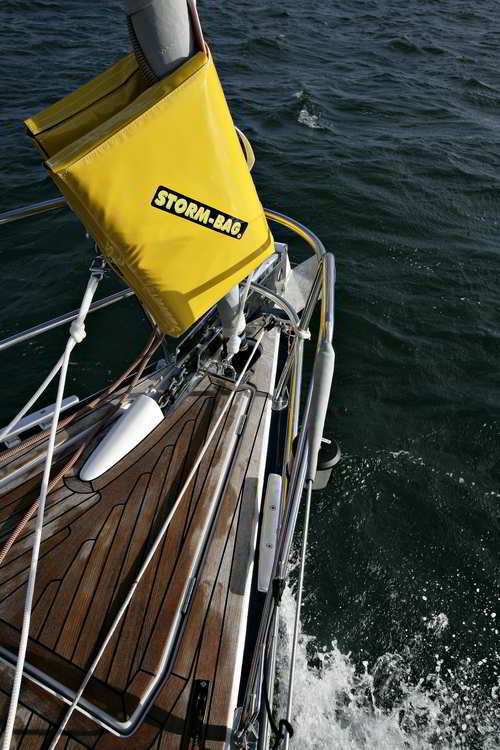 The STORM BAG is therefore designed for boats that do not have any other equipment for sending a storm sail, or to avoid the tedious installation of a dropable forestay and above all to have an easy and quick response to the arrival of heavy weather. Compact, with its carrying handle, the special reel tormentor is easy to take to the front of the boat. A complete solution immediately, no unnecessary trips, the STORM-BAG is pre-equipped with all its equipment (sheets, tack strop, snap hooks). It is easy and very quick to set up: just 3 snap hooks to hit! 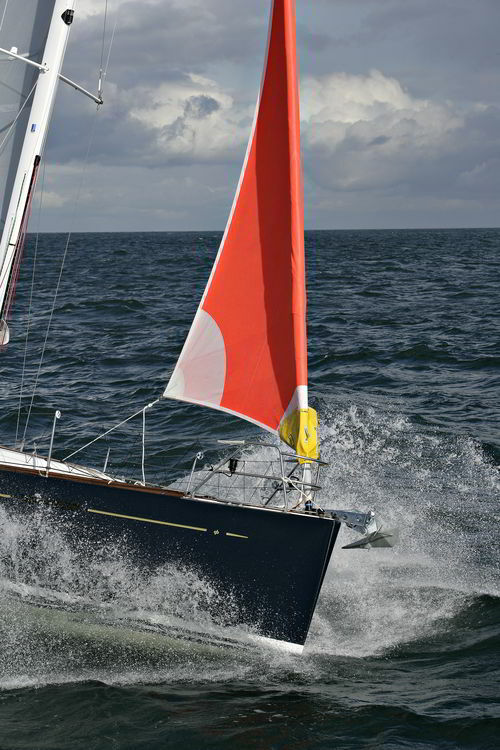 Once established, the special furling storm presents itself as an effective breeze jib with a very low centre of thrust that ensures a balance without excessive heeling in very strong winds.